Unapologetically almond-y and crunchy-chewy, these cookies by New York City's By The Way Bakery are super simple and fast to make. Combine the almond paste, sugar, and salt in a standing mixer on medium-high speed or by hand until the mixture becomes uniformly crumbly. In a small bowl, stir together egg whites and almond extract with a fork. With the mixer running or by hand, slowly add the egg white mixture to the almond mixture and mix to make a smooth paste. Drop heaping, teaspoon-size balls of dough 2 inches apart onto the prepared baking sheets. 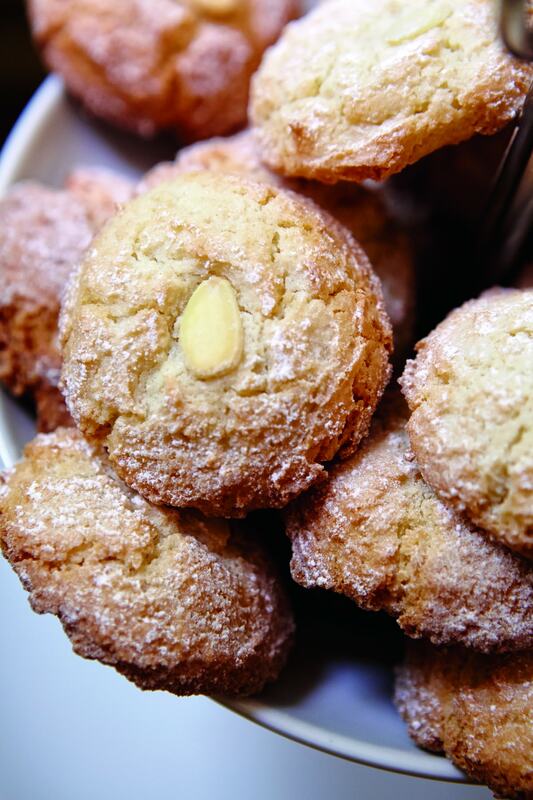 Place a sliced almond on top of each cookie and gently press it down to secure it. Generously sprinkle each cookie with confectioners’ sugar. Bake until light brown around the edges, about 15 minutes. Cool the cookies on the pan.